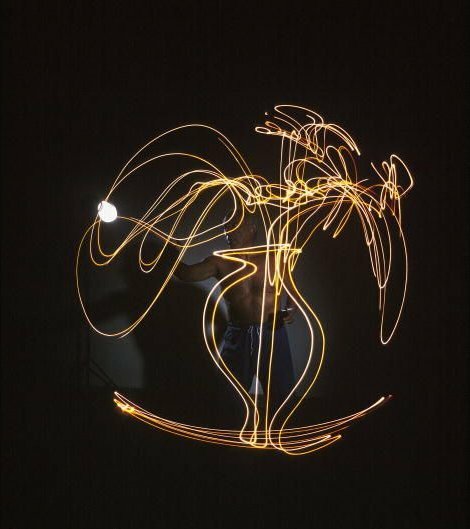 Long before it became hip Pablo Picasso was experimenting with light graffiti or light art. Picasso was captured using a small flashlight in a darkened room at Madoura Pottery by photographer Gjon Mili for LIFE magazine in 1949. The significance of these light drawings is in the way they capture the process of Picasso’s drawing from beginning to end, the image capturing the instinctive connection between the hand and the creative thought process.